Gym Quotes: Rest when you need to. Beast mode the rest of the time. Rest when you need to. Beast mode the rest of the time. Rest is VITAL for growth. I have a hard time resting myself and I know I’m not the only one. It’s easy to go ALL in – as often as you can – when you love what you do, but you’ll eventually burn out and it will be harder to get those gains. Don’t feel bad for taking rest days. Make sure you rest when you need to. Not only when you FEEL you need (because then most of us would never take a rest day), but plan those rest days in, on a regular basis. The rest of the time: Beast mode on to crush your goals! This “Rest when you need to. 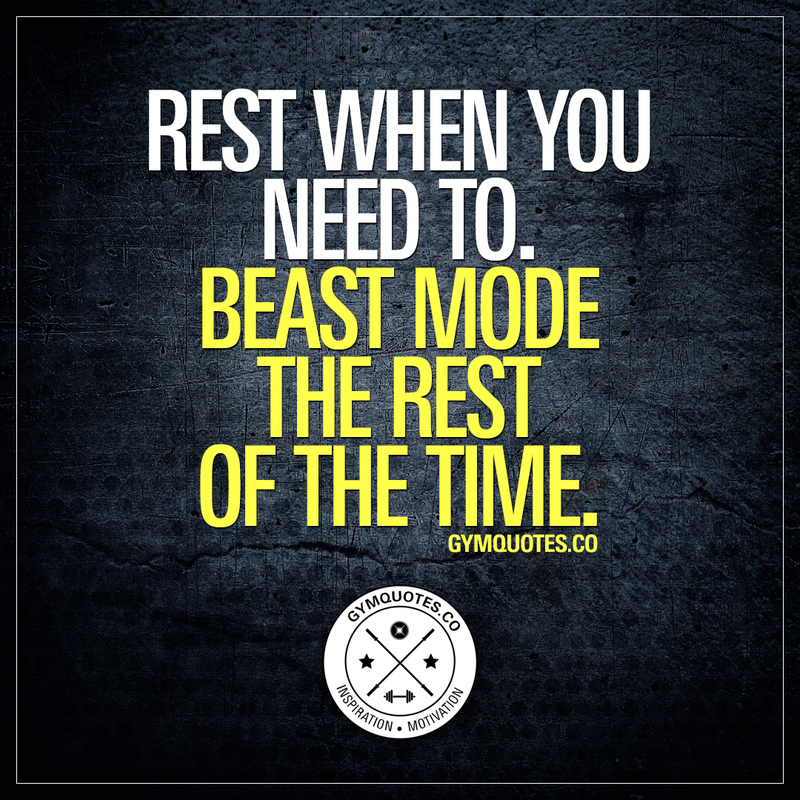 Beast mode the rest of the time.” gym quote (image and text) is copyright © Gym Quotes 2019.